Ningbo Zhongjia Electrical Appliance Co., Ltd.
Time to Produce Steam Our high class mini garment steamer can produce steam in only 45 seconds. Clean Sediment will not linger on heating ball, so the the machine can be easy to clean. Sediment will linger on the heating band, so that the machine is very hard to clean. is a professional manufacturer and exporter that is concerned with the design, development and production of hanging clothes steamer. All of our products comply with international quality standards and are greatly appreciated in a variety of different markets throughout the world. Our well-equipped facilities and excellent quality control throughout all stages of production enables us to guarantee total customer satisfaction. The time to produce steam:45 seconds 3). Working heating time :5 minutes 4). Nonhuman damage factors to productwithin one year of free warranty. Ningbo Xiang Wang Electric Appliance Co., Ltd.
We can print yourr own logo ,and order your own design on packing. We will take pictures before shipping for your checking. Welcome to do OEM,and we will try our best to support you . Ningbo Hanya Electronics Co., Ltd.
is a company which specialized in hanging type garment steamers with R&D, production and sales combined in one source . Every product produced by our company is through layers of detection so as to ensure perfect quality. Q: Are you trading company or manufacturer 9 A: We are a professional factory with a long history. Question 5:Konliking could source good product for customer as well9 If Customer just only want to do business with Konliking for the easy & safety precaution9 Answer : yes, of course, Konliking have sourcing Dep. For some customer&rsquo;s requirement , Konliking have the best promised to customer for the safety etc. We could offer all of our customer the below : @ Most Competitive Product Price @ High Quality product @ Most respect to our customer @ Fast Delivery to the order @ 12 Months Guarantee @ Best After-sale Service We sincerely Welcome you to visit our factory and Establish the best Co-operation each other based on Mutual benefits and we believe we could become your Golden Supplier in near future . Ningbo City Weiye Electric Appliance Co., Ltd. 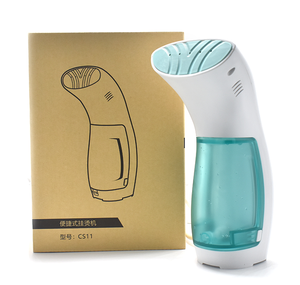 Description handheld garment steamer Speed of steam out fast high-temperture steam to iron flat clothes quickly, visible windows of water tank. automatic water supply and continuous steam. converent to carry would be a necessity for morden families and sightseeing trips. 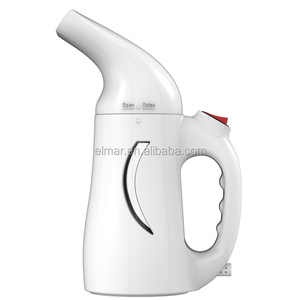 Alibaba.com offers 2,766 handheld steam iron products. About 69% of these are garment steamers, 8% are electric irons, and 1% are commercial laundry equipment. 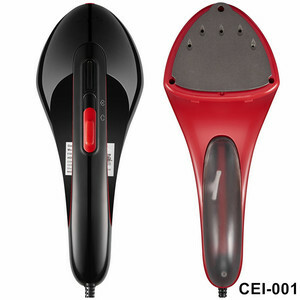 A wide variety of handheld steam iron options are available to you, such as ce, cb. You can also choose from steam iron, travel iron, and steam iron brush. As well as from free samples, paid samples. 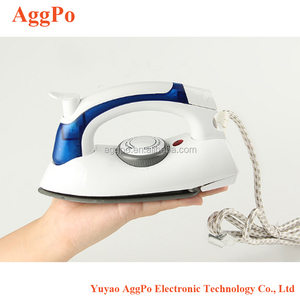 There are 2,771 handheld steam iron suppliers, mainly located in Asia. The top supplying countries are China (Mainland), Singapore, and Turkey, which supply 99%, 1%, and 1% of handheld steam iron respectively. Handheld steam iron products are most popular in Western Europe, Eastern Europe, and Mid East. You can ensure product safety by selecting from certified suppliers, including 577 with ISO9001, 342 with Other, and 21 with BSCI certification.